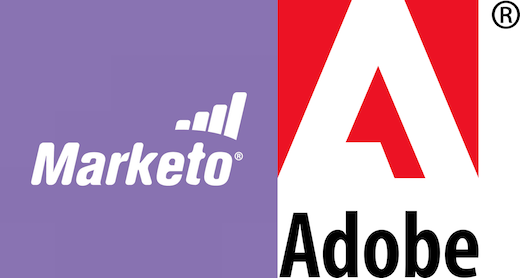 Yesterday a rumor came true: Adobe acquired longtime marketing automation vendor, Marketo. I don't think this is a game-changer for Adobe, but it could have a big impact on Marketo customers. Here's three quick thoughts. Adobe already offers a B2C-oriented email service provider, the former Neolane, while Marketo focuses mostly on B2B scenarios. (RSG evaluates both Neolane and Marketo in our Marketing Automation & Campaign / Lead Management research stream). Neolane and Marketo will overlap a bit, but like Salesforce (which also has two different outbound marketing platforms), you can expect Adobe to try to sell them to different customer bases. I say "try" because salespeople may get them confused, or pitch one or another based on price or familiarity. You the buyer need to keep them straight. Adobe will try to cross-sell Marketo into its existing customer base, but most Adobe Experience Cloud licensees already have an established email or marketing automation platform, and are unlikely to switch anytime soon. Here's where I would place the biggest risk. Adobe will likely prove a more stable vendor than Marketo (and can hopefully address some longstanding scalability issues), but also has a history of being more avaricious. Expect fees to go up. Perhaps more importantly, Marketo offers a number of services around orchestration and campaign management that Adobe will want to replace with their own separate platforms for these services. That could prove an unwelcome surprise for licensees who had put a lot of marbles into their Marketo environments. What are your thoughts? Share this post (or find me) on LinkedIn and we can chat about it there.